From bikers’ hangouts and Irani café retros, to quirky designs and art decor, cafés today are more than just about a cup of coffee and snacks. Entrepreneurs are not shying from bringing innovative ideas to the business. The up and coming Ahmedabad is no exception. This is what led to the birth of Unlocked Café in 2017. It was conceptualised with motifs of pawns and pieces adorning the walls, along with lounge style furniture ideal for relaxing and playing games. “I have built a library of about 100 board games for the cafe. While waiting for their food to come, patrons can play games like Scrabble or Pictionary free-of-cost,” says Sanjali. For serious board game enthusiasts, there are games like Quattro, Catan, Forbidden Island, Puerto Rico, Agricola, and A Game of Thrones—these are charged by the hour. The café also has an Escape Room, where players have to solve puzzles and undertake other activities that will lead to unlocking the room. While the library is Unlocked’s USP, Sanjali says they have worked hard on the menu too. “We have finger foods, crepes, waffles, sandwiches and egg dishes. For those who want something more substantial, there are Indian, Western, Mediterranean and Pan-Asian cuisines,” says Sanjali, who studied and worked in Europe for many years. Cajun Spiced Cottage Cheese Picatta, Assorted Spanish Pintxos and Chicken Parmigia are their signature dishes. 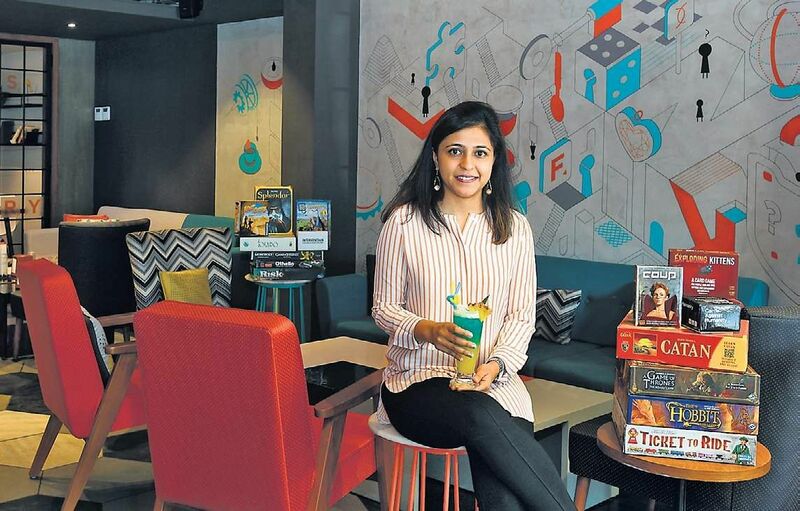 While Sanjali’s board game café is a reflection of her passion, 49-year-old Suresh Nair’s Caffix—the Tech Café is an extension of his technology business. “After completing MSc in 1989, I started working in an IT company and have been working in the field since then. I became a distributor of Apple products four years ago. With it, I wanted to set up a workshop for smartphone, laptop and tablet repairs. But I found that most of the service centres looked clinical, like hospitals,” he says. Customers were not comfortable sitting in them while waiting for their gadgets to be repaired. This led to his idea of a café, which was started this year. “Techno-fiends and clients, who come here to source parts or accessories, or get something repaired, end up having a coffee or snacks,” he says. Apart from this, there are people who just come here for a coffee or even a milkshake. “Our USP is our coffee printer—using edible ink we print photographs of the patron or any visual they want on the coffee surface. People love it. Besides, the multi-layered Twisted Pizza is the signature dish of Caffix,” he says. Suresh and his partner are now looking for more locations in and around Ahmedabad to open Caffix branches. For Darshan Rawal, it was his passion for food and cooking that led him to start a small pizzeria called Café Soho. A larger version of his existing café called Soho Ilferno is expected to open this month. “I have lived much of my life in New York. 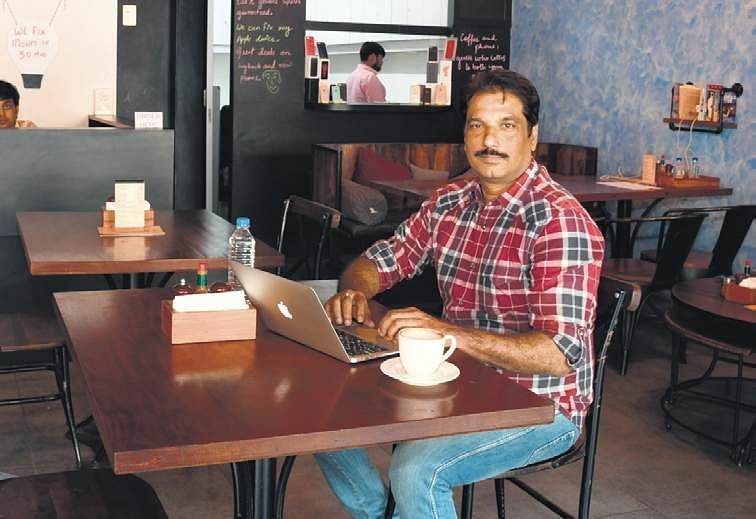 My businesses brought me back to Ahmedabad, where I had schooled,” he says. When Darshan was looking at opportunities to enter the food service business, a small place came up for rent in 2014, and he seized on the chance to become the head chef, manager and the owner. “I named it Soho after a neighborhood in New York City that is known for its dining, shopping and art scene,” he says. A certified pizza maker, Darshan decided to specialise in New York-style pizza, with a characteristically large hand-tossed thin crust cut into wide slices. “Since the water and weather is different in Ahmedabad as opposed to New York, I had to develop the recipe for making the dough and use imported bread flour for these pizzas,” he says. 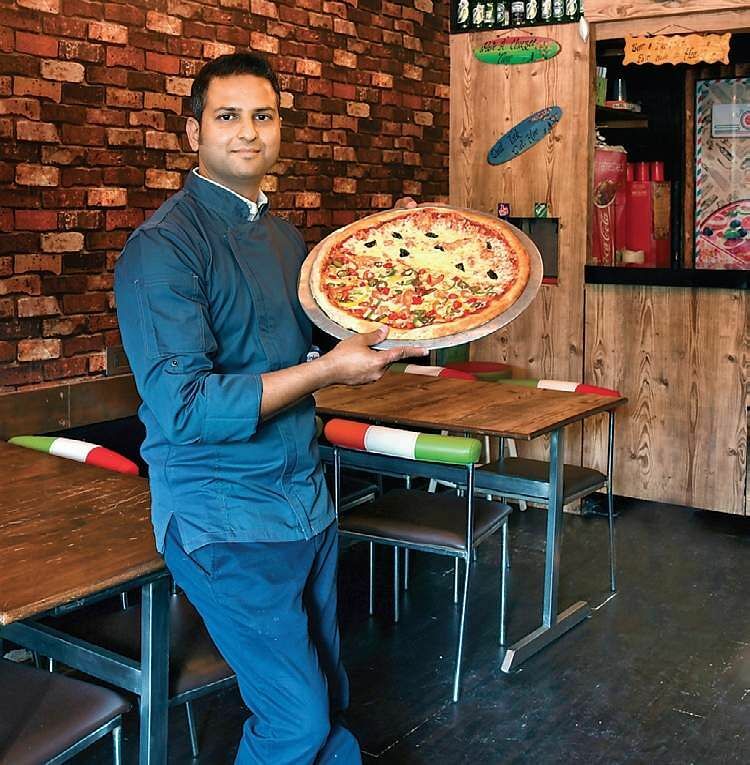 At first, selling this pizza in Ahmedabad was a challenge for him as diners had not tried foldable pizzas and had pre-conceived notions of how a pizza should be. “Also, I had to experiment with toppings, since just offering what New York’s pizzas had was not enough to appeal to the local palate. I introduced Indian toppings too. Today, business is good and many corporate houses, families and individuals have become my patrons,” says the 37-year-old. While the pizzeria is pure vegetarian in keeping with the neighbourhood it is in, his upcoming café will have non-vegetarian toppings too. “I am looking forward to offering pizzas from different parts of the world at Soho Ilferno.” So, if you are a true-blue café freak in Ahmedabad, you know where you should be heading. Bon Appetit!